Obituary for Dorothy Lee Payne | Frank R. Bell Funeral Home, Inc.
On March 13, 1946 in Brooklyn, New York, (the late) Robert Payne, Sr. and Juliet Armstrong Payne gave birth to a beautiful baby girl they named Dorothy Lee Payne. She was the second eldest child of eleven, and was affectionately called “Dottie” by her family and friends. Growing up in a South Brooklyn neighborhood, Dottie attended P.S. 247, Nathan Hale Junior High School, and Prospect Heights High School. At an early age, she developed a passion for cooking and baking which she did very well. Everybody who had the pleasure of tasting her famous baked mac & cheese or her delicious cakes that she made from scratch will surely miss them. 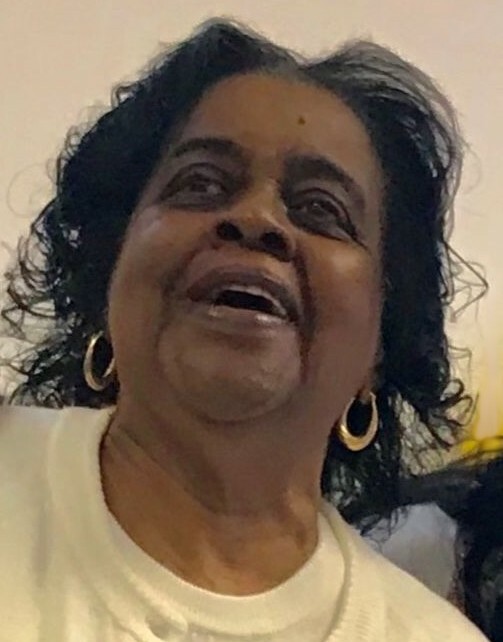 Coming from a large family with many nieces and nephews, Dottie also had a passion for children which landed her a position as a school aide with the Board of Education from October 1983 until she retired in July 2015. Dottie was dedicated to her job, and was loved by the school children as well as her co-workers. She helped raise many children to become successful in life. After becoming ill on August 13, 2018, our beloved Dottie departed this life on Monday, August 20, 2018 surrounded by her loved ones. She will be greatly missed, always loved, and never forgotten. She leaves to cherish her memories, her lifetime partner Clifton Dennis Smith; her children: James (“Pumpkin”) Sellers and Lynette Smith; her granddaughter Jessica Merrill; her great-granddaughter Zon Thomas; her siblings: Barbara Gilbert (Brooklyn, New York), Robert Payne, Jr. (Fayetteville, North Carolina), Frances Payne (Brooklyn), Evelyn Payne (Brooklyn), Danny Payne (Schenectady, New York), Patricia Payne (Asbury Park, New Jersey) and Pamela Payne (Brooklyn); one brother-in-law Willie; eleven nieces, eight nephews, twenty great-nieces, twenty-three great-nephews, and a host of other relatives and friends, including her best friends: Gigi and Sharon. that her family, friends and loved ones will never forget!